Being in a car lockout situation is a challenging experience. Sometimes, you do not get help right away and sometimes, you have to intentionally cancel the appointments you planned beforehand because you waited for the locksmith company to arrive. For this reason, some people try to fix the lockout problem by their selves. Unfortunately, this practice is dangerous as it can damage the lock or car door, thus adding another expense to you. Therefore, when car lockout happens, calling Palmway Locksmith is recommended. With 24/7 availability and fast response time, you can be assured that this kind of problem is solved without hassles. The company is not just a typical locksmith provider in Corona but a premier establishment with reliable technicians, years of proven experience and advanced tools. If your car is locked out, there is no need to worry as Palmway Locksmith can do wonders in a few minutes. There are actually a lot of car locksmith providers in the areas of Corona. 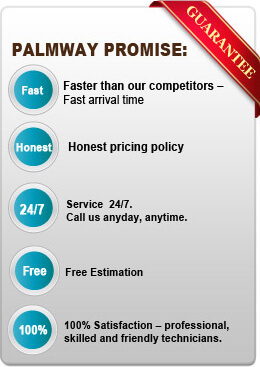 However, if you are seeking for a reliable and quality service provider, Palmway Locksmith is the only company that you can trust. We specialize in emergency locksmith, ignition, car locksmith and auto repair services. We also provide locksmith services for residential and commercial needs so whatever kind of lock and key problem you have, you can be assured of having it fixed as soon as possible. In Palmway Locksmith, we employ a number of locksmith technicians who are licensed, insured and bonded. These individuals are fully trained and certified to duplicate keys, change locks and unlock a car door without causing damages. They are also skilled to do complicated processes that tighten your security and safety. When it comes to qualifications and credibility, our locksmith technicians can be fully trusted. We do not only train them to be the best people in this industry but we also provide them with the latest tools and equipments for locksmith services. As you can see, we can fix lock and key concerns to any car models, brand or size. This is through the help of our expert people and state of the art tools, which we invested for years. If you are lockout accidentally, do not wait until you get burnt out. Call our hotline number and give us your details. We are available 24 hours a day in 7 days a week so you can be assured of getting help right away.